Content 2 Baits each of 20 gr. 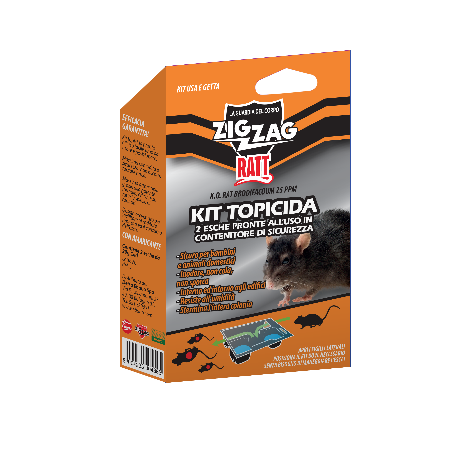 Rodenticide Baits Kit Ready to use, very easy to use and position. Maximum comfort and safety: you do not need to touch the bait. Maximum attraction: thanks to the powerful formula, effective on all species of rodents. Patented design to facilitate the entry and consumption of the bait to the rodent. With Amaricante: Safe for children and pets. Open the side seals and place the Kit where necessary. No need to handle the bait! No.pieces: 2 Baits each of 20 gr.